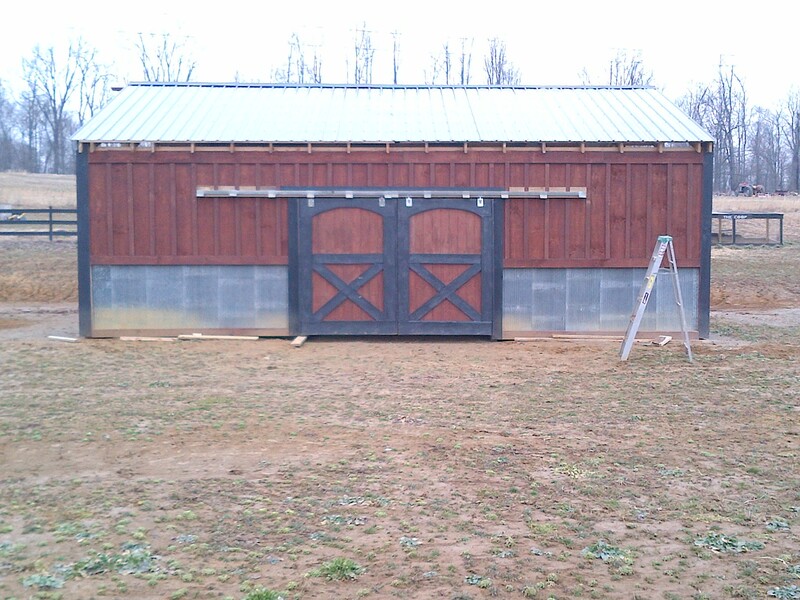 Barn doors are up! We have closure. 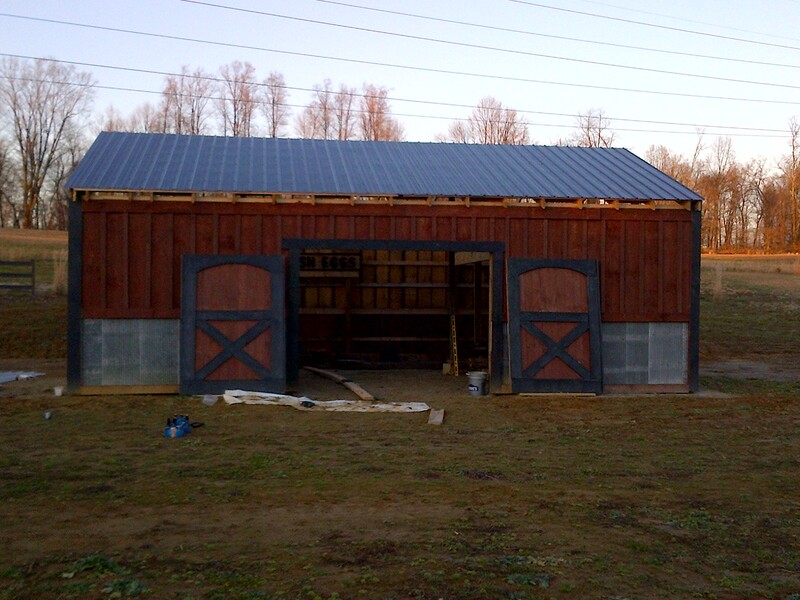 Today was a big day for the barn – on went the front doors! Who knew we would still be able to work on the barn like this through the winter. The barn has been a project of epic proportions for Mary and I. Taking 2 old barns, one of which was my Dad’s and creating a new one has been an incredible experience for the both of us. It’s hard to believe that just last July – we began the long process of tearing down the first barn in Cardington, Ohio and hauling it back piece by piece to the farm. We have really tried to preserve the most we can of the two barns into the new one – and the front doors are a great example. We used the siding and floorboards from the Cardington Barn to custom make our front and side sliding doors. Cutting into the old wood that was once used 80 years ago – it’s easy to think about what it must have been like for craftsmen of the past. It also gives us a great appreciation for them being able to do it without power tools! The old wood is so dense and hard – we went through blade after blade on our saw just cutting through it. 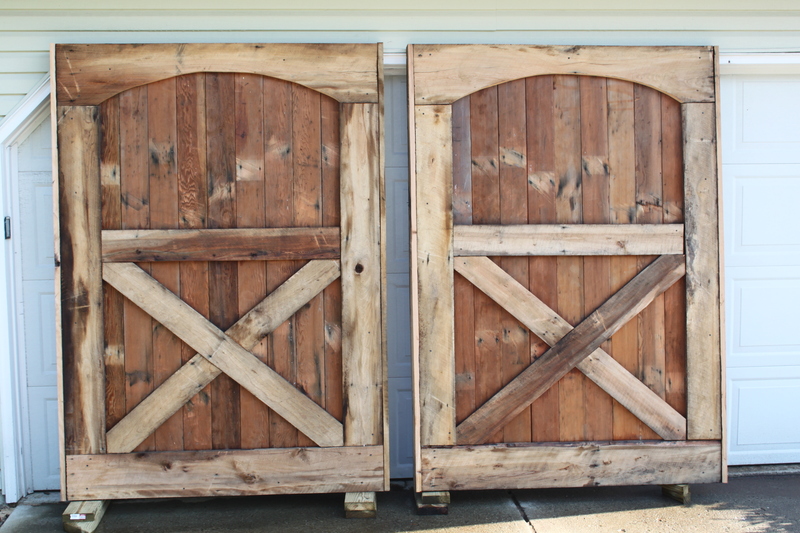 We built the two doors at the house – then hauled them out to the farm and stained and painted them last fall – and then today – finally put them up! It was such a great feeling to finally here the heavy sound of the rollers on the track once they were up – one more thing off the list! The door are up and on the track! We still have quite a bit to go on the barn – hopefully in the next month or two – if the weather continues to stay warm – we can get the pergola attached to the left of the barn. We are going to make that entirely from the old post and beams of the old barns, and hope to create a big gathering area and put the outdoor kitchen under it as well. But for today, we are just happy to see those doors up! 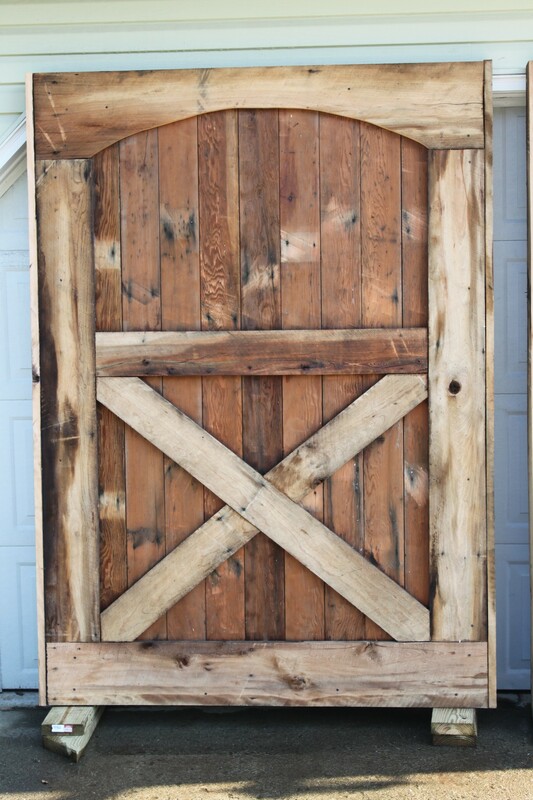 Recycled Barn with our doors – ALMOST DONE!! ← Planting the Garden Day – No rototiller needed!! !